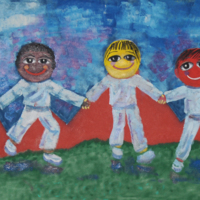 Jane Grace Taylor, “People Who Play Together Stay Together,” Art Oneida, accessed April 20, 2019, http://artoneida.org/art/items/show/284. 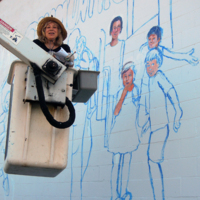 Description: This mural by artist Jane Grace Taylor was commissioned by Utica's recreational department. 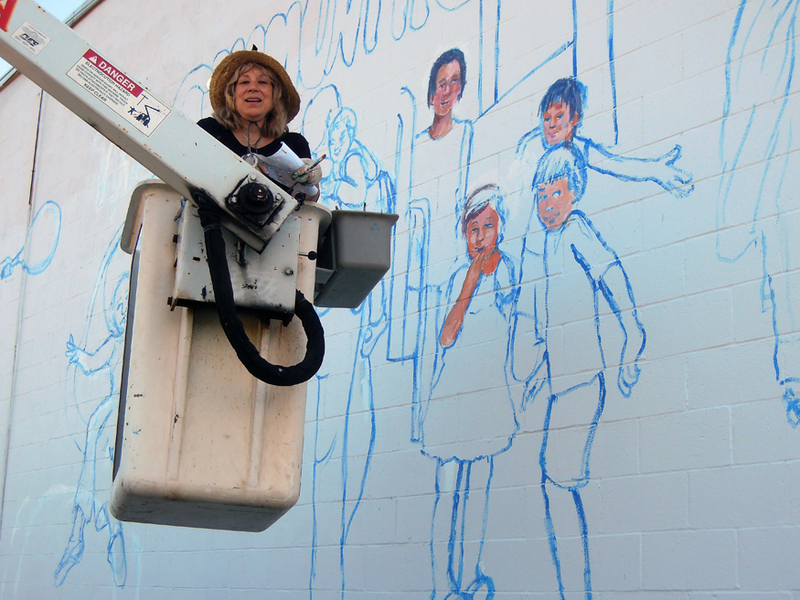 The artist created the design and outlined all the people and faces for volunteers, including children, to fill in. At that time, a playground was being planned to be built across the street.